Violating one of Ohio’s traffic laws on speeding can set in motion a long chain of serious consequences. In addition to paying fines and fees, a driver can have penalties points added to his or her record with the Bureau of Motor Vehicles, see car insurance rates increase, and even lose a job that requires maintaining a clean driving record. An Ohio speeding ticket is more than just a nuisance. If you’re found guilty of Ohio speeding laws, not only will it add points to your driving record, your insurance premiums may also increase and you could lose your driving privileges. A conviction for reckless speeding in Ohio can also bring a license suspension that applies both to the driver’s personal license and each type of commercial driver’s license endorsement he or she holds. More specific information on potential penalties for speeding appears below, but the main point to understand is that any conviction for a traffic violation can be a big deal. Even though many people choose to simply sign an Ohio speeding ticket and mail in a payment, going to court or exploring the possibility of pleading to a lesser offense often makes sense. Before you just accept guilt for speeding law in Ohio, read through the following answers to frequently asked questions. How Does Ohio Define Speeding Laws? Section 4511.21 of the Ohio Revised Code makes it illegal to exceed a posted speeding limit or to drive at a speed that is unsafe for road or traffic conditions. The statute also lays out guidance for cities and counties to set speed limits, such as 20 mph in school zones and 35 mph on state highways. Localities have wide latitude to adjust suggested speeding limits upward or downward, so scanning for signs is always recommended. When it comes to unsafe speed, making that call falls on law enforcement. Generally, the rule is that drivers must reduce their speed on icy roads, during strong storms, and when in heavy traffic. Causing a crash in such circumstances can draw a speeding ticket regardless of whether a person was obeying or under the posted speed limit. Law enforcement officials can technically issue a speeding ticket to anyone who exceeds a posted speed limit by any amount. 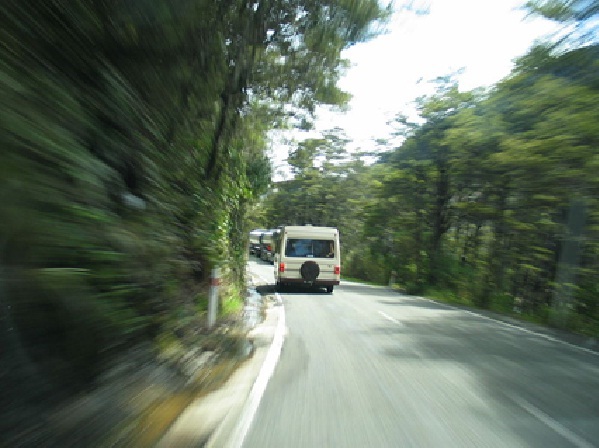 In practice, speeding will only be ticketed when a driver is shown to be moving at least 5-10 mph over the speed limit. Court rules in Ohio further require police to provide evidence of speeding that they recorded with an approved device like a radar gun or LIDAR device. How Fast Is Reckless Driving in Ohio? Ohio’s speeding laws do not explicitly state how many mph over the speed limit is reckless driving. Rather, the statute that covers reckless operation, O.R.C. 4511.20, is interpreted to mean that going well over the speed limit meets the definition of demonstrating “willful or wanton disregard of the safety of persons or property” when safety is an issue. What Are the Penalties for Speeding in Ohio? A single speeding violation in a 12-month period is prosecuted as a minor misdemeanor. That designation allows the jurisdiction in which the alleged offense occurred to assess a fine of up to $150. The actual cost of a speeding ticket will vary depending on whether a city or state adds fines for each mile per hour over the limit, whether the alleged offense occurred near a school or in work zone, and the amount a jurisdiction charges for court and administrative costs. Exceeding the speed limit by 30 mph or more results in four points. If the speed limit is 55 mph or more, exceeding the limit by more than 10 mph (11-29 mph) results in two points. Exceeding the speed limit by an amount less than any of the above results in no points. Accumulating 12 points within a 24-month period results in an automatic license suspension. Reckless drivers can also lose their driving privileges. Second and third speeding convictions in the same year result in higher fines. Repeat offenders, especially those who rack up multiple reckless charges, may also face jail time of up to 30 days. How Can I Fight an Ohio Speeding Ticket? The first step is to show up to court or hire a Columbus traffic ticket attorney to show up for you. This allows you and your traffic attorney to access the evidence that police and prosecutors intend to use at a trial. Hiring a speeding ticket defense lawyer will give you a legal ally who acts only on your behalf and knows how to do things like confirm the proper use and accuracy of a LIDAR device. Up until the conclusion of a trial, you can have your criminal defense attorney work on negotiating a plea deal to a charge that requires paying a reduced fine and/or spares you penalty points. You could also succeed in having your ticket dismissed due to lack of evidence or problems with how evidence was collected and presented. Colin Maher of the Columbus, Ohio-based Maher Law Firm has a strong track record of defending drivers throughout Franklin County. He offers free phone consultations, and he takes most cases for a flat fee. To learn if he can help you with a speeding ticket or other alleged traffic offense, call him at (614) 205-2208 or connect with him online.